The book that Richard Kruspe mentioned that Flake was writing is now available for pre-order at amazon.de. The book is Flake’s autobiography, titled “Der Tastenficker – An was ich mich so erinnern kann”. When I discovered the Rolling Stones, my mother enthusiastically came dancing into the room. Cheerfully, she informed me, that this Mick Jagger of mine was exactly as old as she was. It wasn’t something I was keen to learn since I would always think of my parents whenever I heard the Stones. After that, the Stones weren’t even half as good anymore. I also got into the Dead Kennedys since they were playing so fast and hard. What can I say? My mother was quite impressed with them as well, and told me that Jello Biafra was a left-wing local politician and that alone made her like him. So that music was spoiled too. But the worst thing of all was when my parents came to a concert. Just knowing that my mother was in the audience, freaked me out. And once I saw her, excitedly swaying to the rhythm of our music, I felt caught, as if I had behaved like the good boy for her for years, and withholding the music I was making. 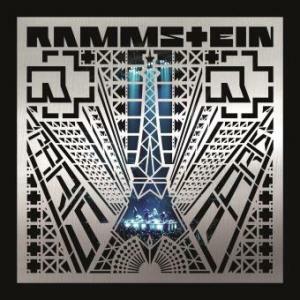 UPDATE: The book is now also available for purchase at RammsteinShop. Well, time to learn more German.